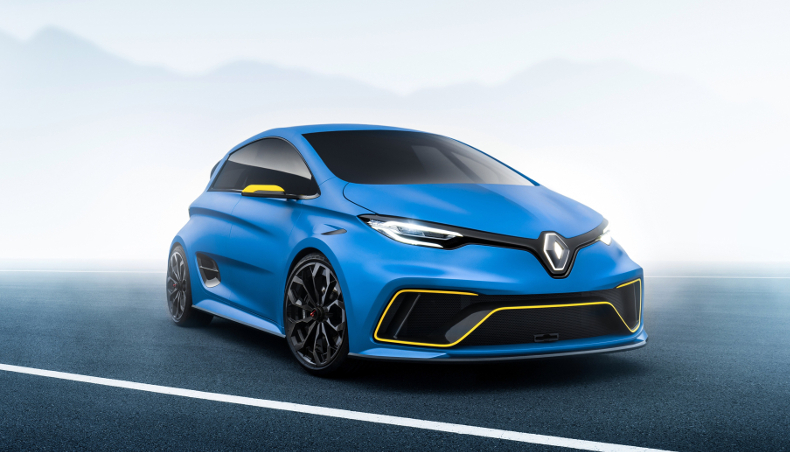 Renault’s new electric concept car, ZOE e-Sport, draws overt inspiration from its big sister, starting with the famous satin blue livery of the Renault e.dams racer, with yellow splashes on the wing mirrors and bumper trims. The motorsport connection —speed, response, road-hugging— shows through in the car’s structure too: carbon fibre body, light weight (1,400 kg including batteries), flat floor and air diffuser. It’s all there! And the tubular steel roll cage means ZOE e-Sport really can take to the racetrack! 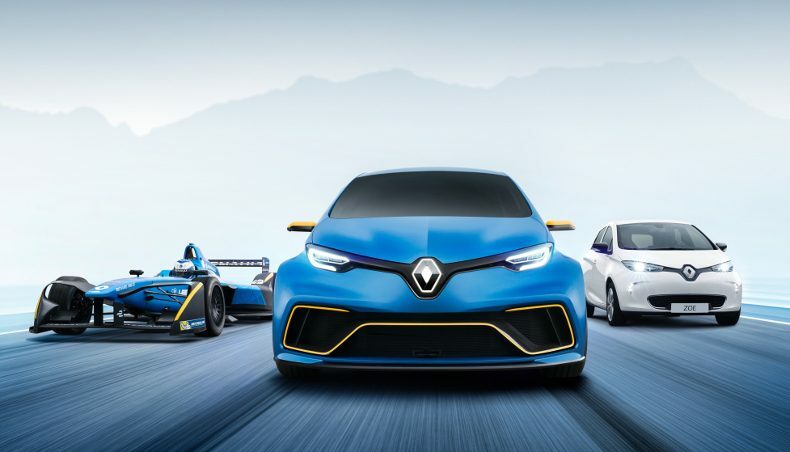 ZOE e-Sport’s power plant was developed by engineers from Renault Sport Racing, the people behind our winning performance in the FIA Formula E championship. So it’s directly derived from racetrack-capable technologies. 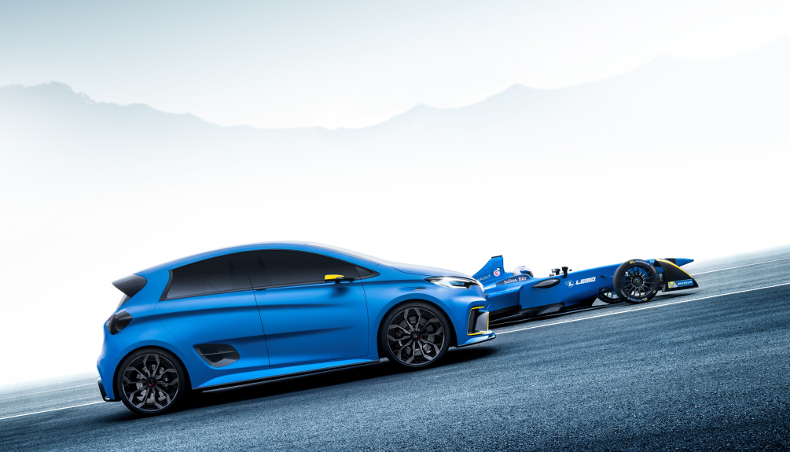 Two motors, one at the front and one at the rear, deliver total power of 340 kW, or 460 bhp. As in Formula E, high-capacity permanent magnet technology maximizes energy efficiency. 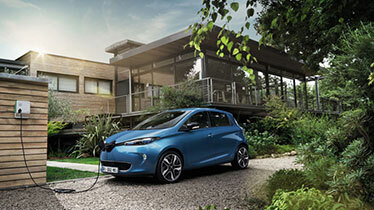 And there are two batteries (with a total storage capacity of 40 kWh), to make the most of this power. 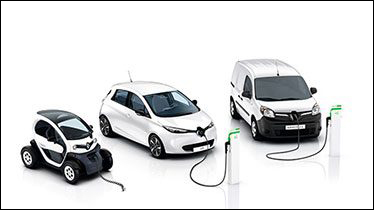 The ZOE e-Sport Concept also benefits from Renault’s Formula E experience in power-to-wheel optimization and delivery of full potential at all times. 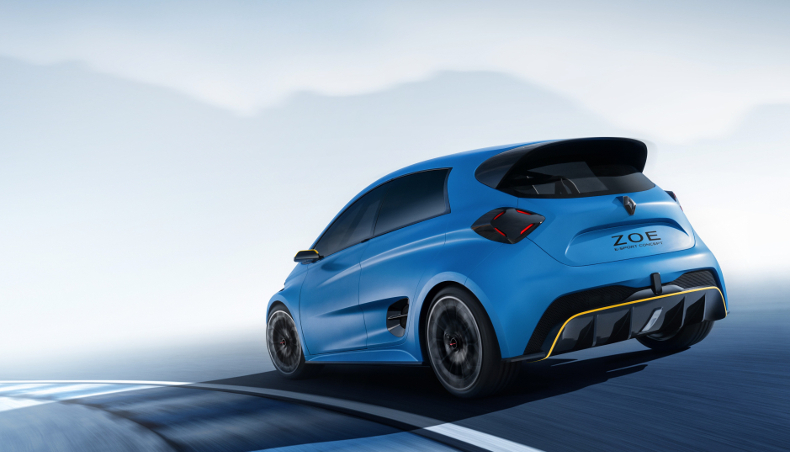 Design and adjustment work on ZOE e-Sport Concept reaped the full benefit of expert input from Renault Sport Cars specialists in production sportscars. High performance was achieved through design features such as tubular steel chassis, low ride height, double wishbone suspension front and rear, 20” wheels, large brake disks and four-way adjustable dampers. This all adds up to virtually instant response (a matter of a fraction of a second) to the driver’s every slightest action. Come and see for yourself (you can’t miss it!) at the Renault stand at the Geneva Motor Show.